“Red-flag laws enable family members or law enforcement to ask a judge to issue a temporary order for the removal of guns from a person who is a danger to himself or others. The measure is similar to restraining orders in domestic violence situations. If anyone in the legislature knows about the need to allow judges to intervene in volatile situations, it’s Morey. 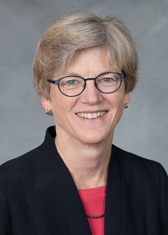 During 18 years as a judge on the Durham district court bench, she presided over many hearings in which such a protective order might have helped prevent a shooting or a suicide…. While prompted by recent school shootings, Morey’s bill would also help stem a far more common form of gun violence, suicide. Rep. Grier Martin, D-Wake, and member of the Army Reserves, spoke briefly in support of the proposal as a way to reduce the high level of suicide among veterans. ‘If you ask the experts that actually do the research on this what some of the factors are that go into the increasing number of suicides, one of them is, in fact, access to lethal means,’ Martin said. Gun rights advocates are wary that red-flag laws could lead to even broader government power to confiscate guns. But no right is absolute, especially when it presents a deadly threat to others. Morey’s bill includes judicial procedures that protect an individual’s constitutional rights even as its prevents the mentally disturbed from harming others or themselves. Marcia, Marcia, Marcia. The government doesn’t have the power to confiscate firearms. You live in a constitutional republic with a Constitution that forbids such oppression. Nuts, felons, terrorists and illegal aliens are routinely denied possession but your suggestion would place enormous pressure on judges and law officers. They’re not qualified. If you want such a confiscatory law, you need two psychiatrists, chosen by both the prosecution and the defendant. No psychiatrists, no due process.